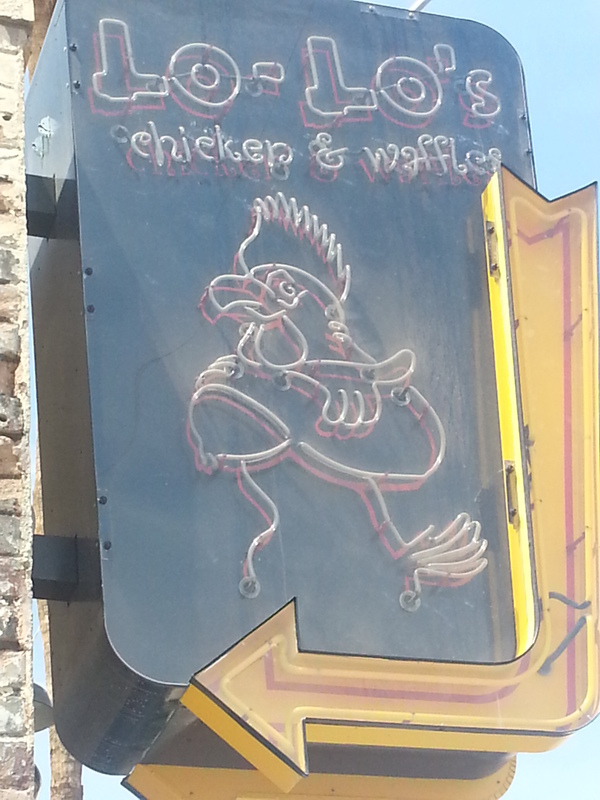 Hollywood and The Chick’s epic US trip ended with a stop at Phoenix Arizona’s well reviewed Lo-Lo’s Southern Fried Chicken and Waffles. 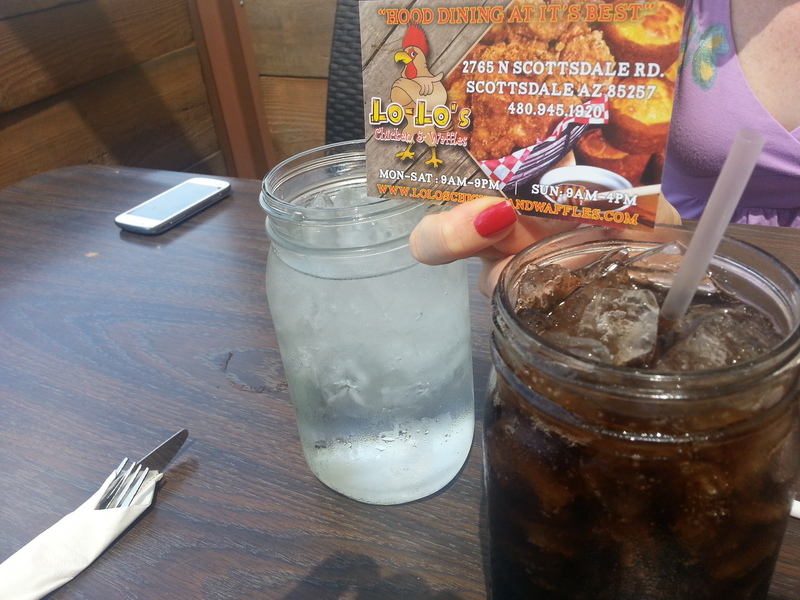 We picked this place to see how Melbourne Fried Chicken compared to the real southern deal (Arizona is close enough, right?). We arrived in the middle of a scorching summer day and found that the place was packed. We accepted outdoor seating, and we were the only ones brave enough to eat without air conditioning. 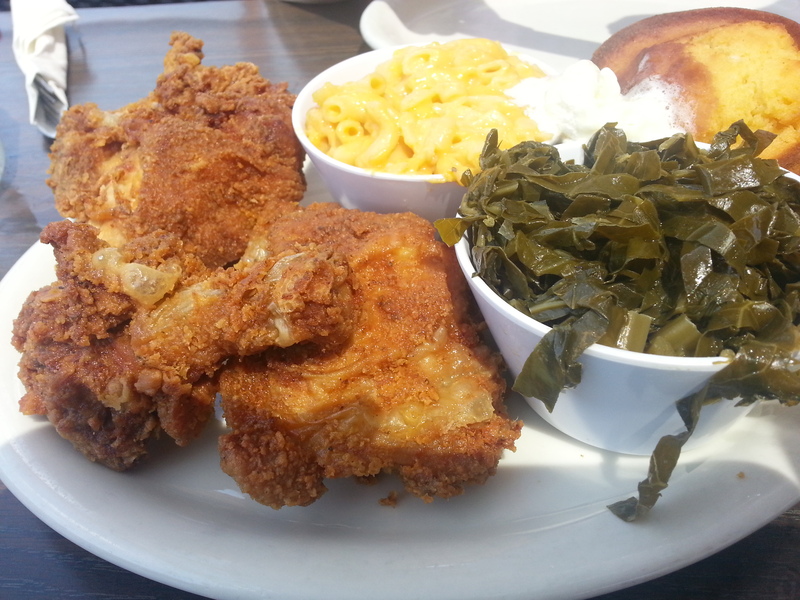 Hollywood ordered 3 pieces of southern fried chicken, with sides of mac n cheese, collared greens, and corn bread with whipped butter. Drinks came in large canning jars with plenty of ice. 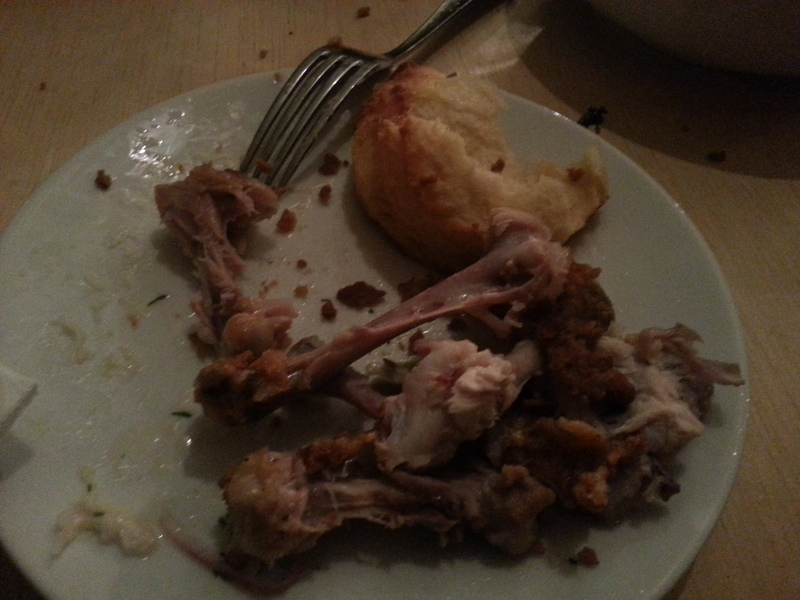 The Chick decided to share rather than face an American portion solo. The food arrived fast. 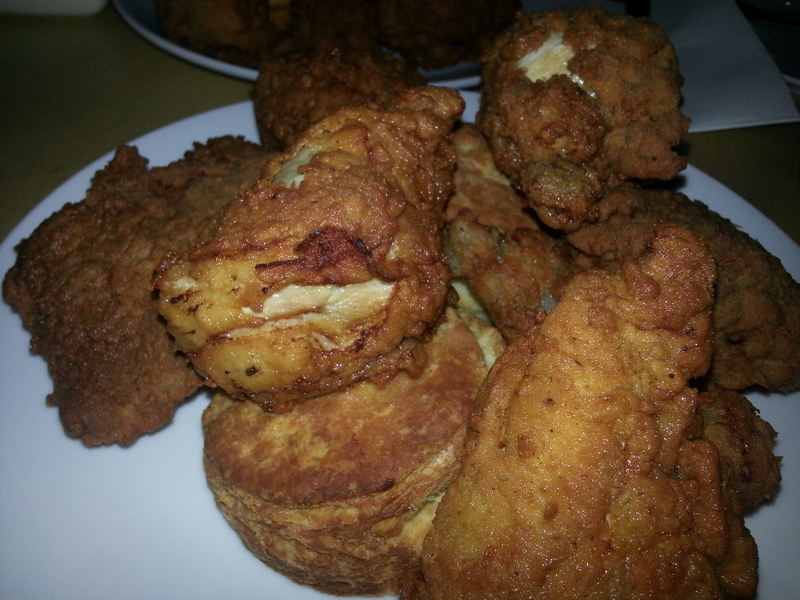 The chicken was cooked well but wasn’t spiced enough and resembled more fast food style fried chicken (KFC). It was hot and steamy and well coated. 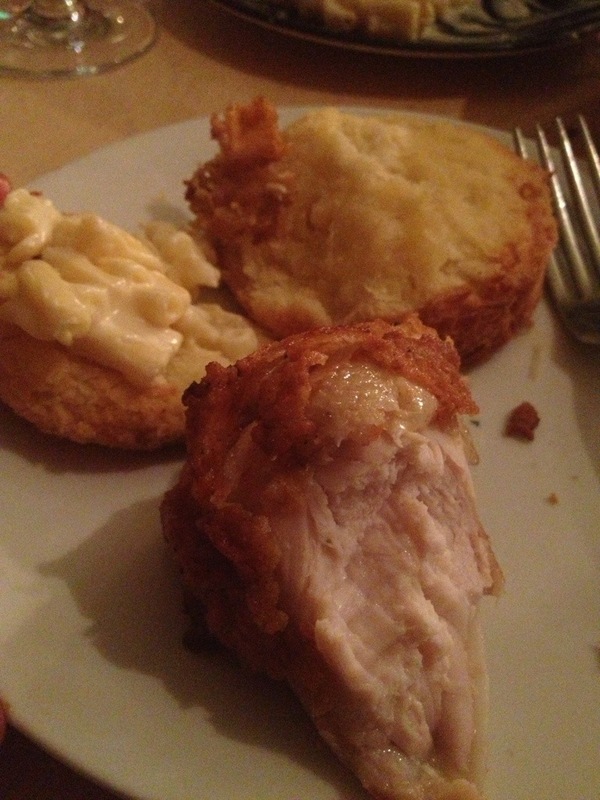 The breast piece was a bit dry which confirmed our theories of fast food style of cooking. 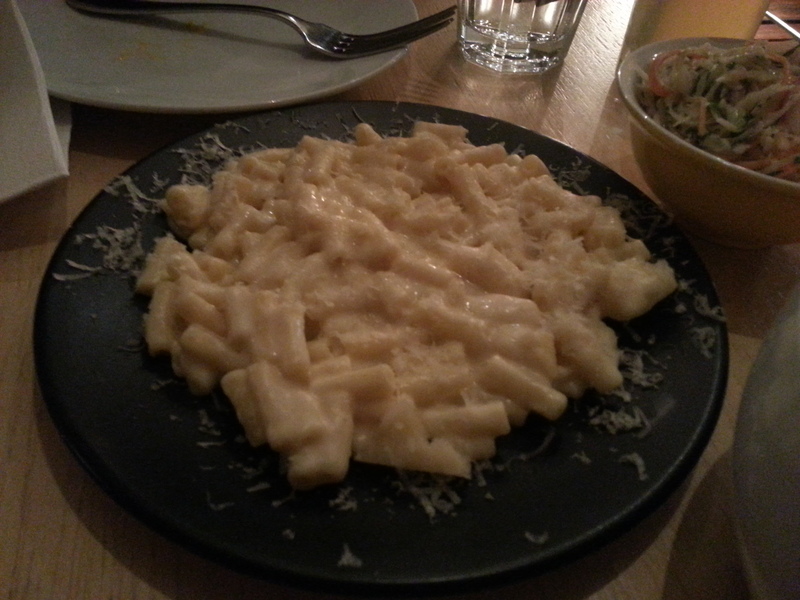 The mac n cheese was creamy but the macaroni was a bit overcooked. 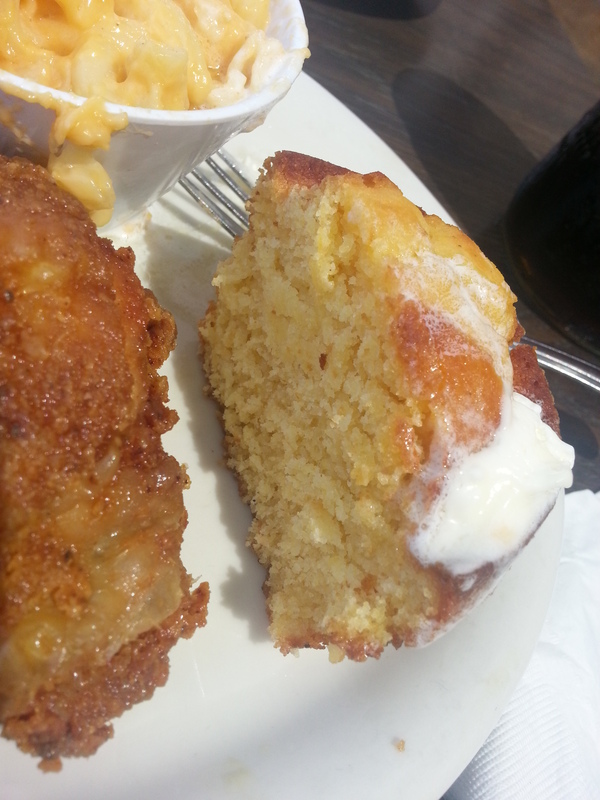 The Chick reckons the collard greens were average and the cornbread was too dry and not spicy enough. Perhaps the Waffles are where it’s at, but we may never know. The wait staff moved us inside for dessert and finished off our experience with a slice of Red Velvet Cake, which was proudly advertised out front. 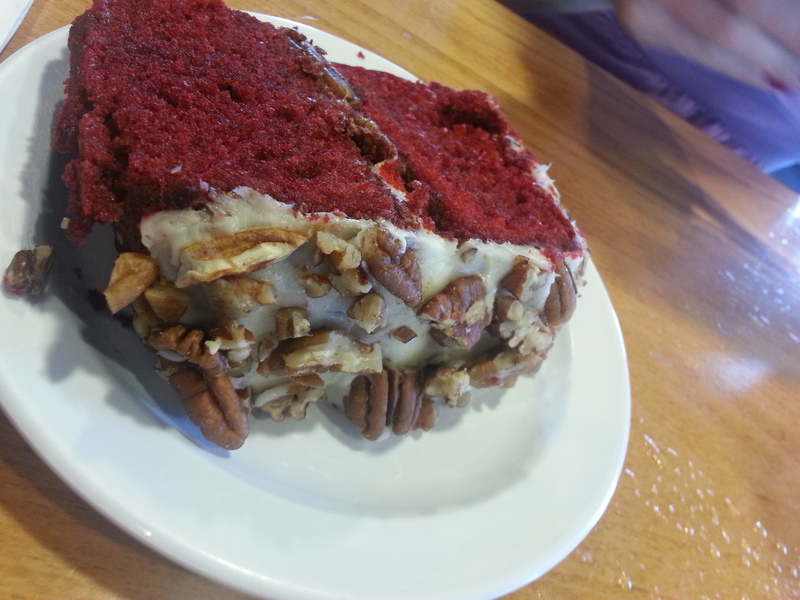 The cake was a bit dry but the nutty frosting left the Chick’s sweet tooth satisfied, if not impressed. Overall much better than Route 66, but still nothing compared to foodie experiences back home. Rockwell and Sons had a lot of hype around it. With fried chicken being advertised as brined 3 days in advance and coming in at 60$ an order we knew that something amazing was awaiting us. 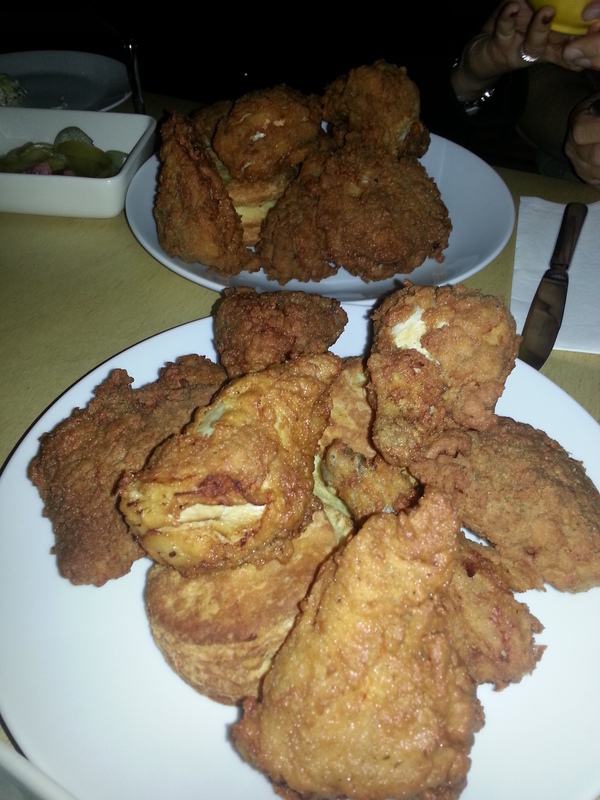 It took weeks of planning and three days of brining to prepare for our epic Wednesday night of Melbourne Fried Chicken feast at Rockwell and Sons. We teamed with our friends the Big S and the Vietnamese T and were ready to take on all cluckers. 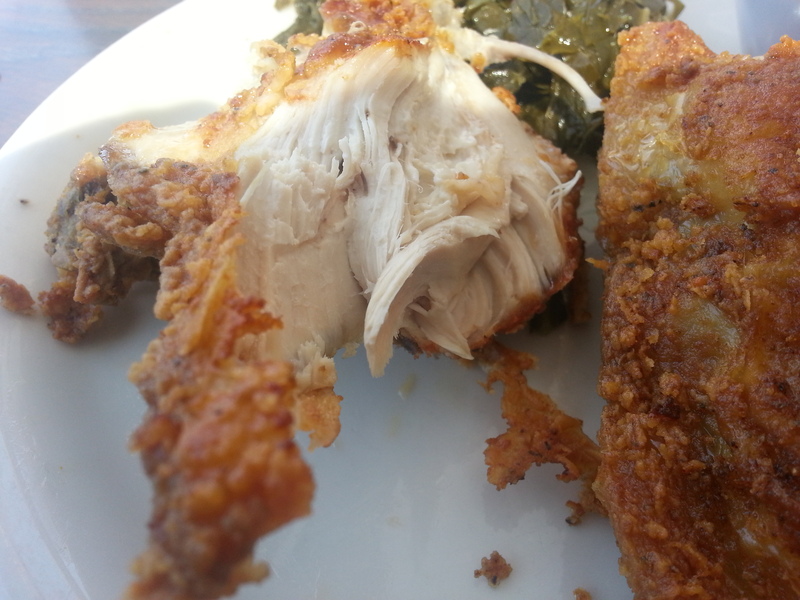 Our order (placed by Hollywood 3 weeks in advance) was two fried chickens. We didnt know the chicken came with heaps of sides but were told so upon arrival. 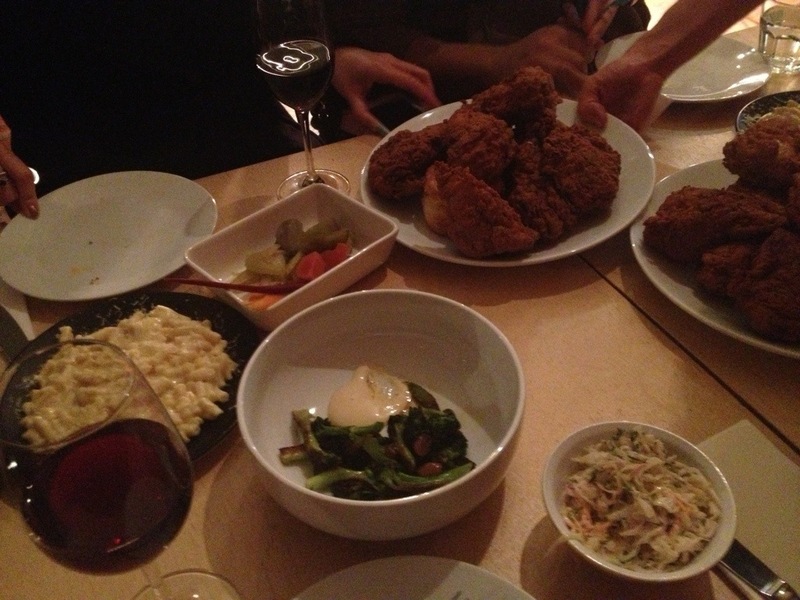 The full order consisted of 2 whole organic fried chickens each accompanied by buiscuits, deviled eggs, assorted house pickled vegetables, Pan-Roasted Broccoli & Bonito & Pickled Sultanas, Berkswell & Cheddar Mac & Cheese and coleslaw. 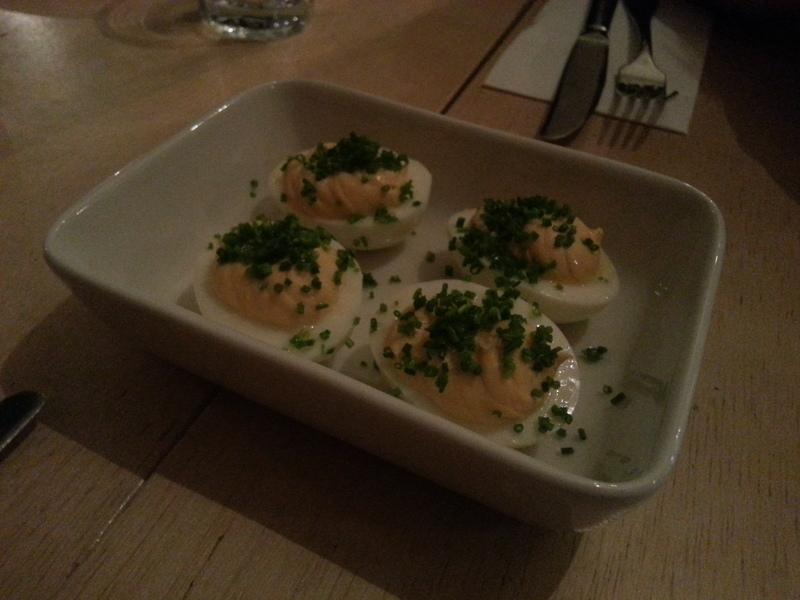 The deviled eggs arrived first where each of us were given half an egg. 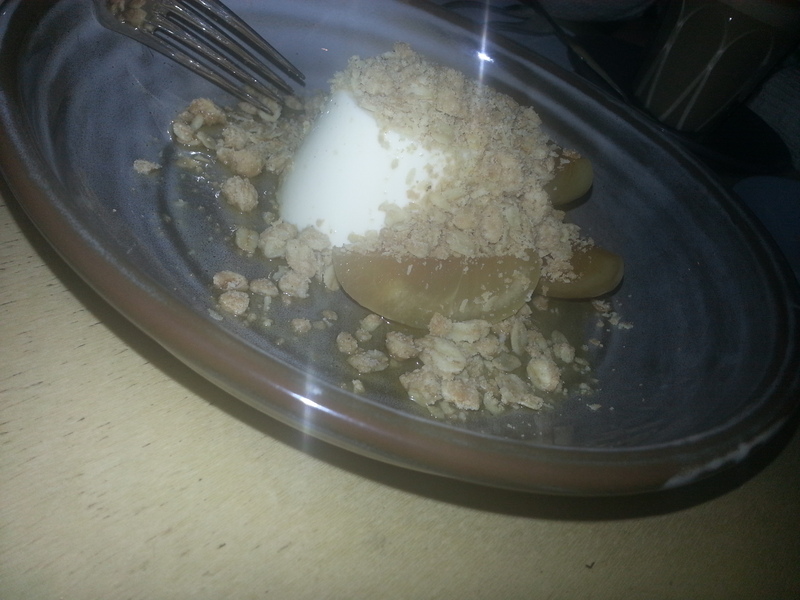 Most of enjoyed them slowly while Hollywood gulped his half in one mouthful and as always wanted more. Shortly afterwards the mac n cheese, broccoli, pickled vegetables, and coleslaw were served. 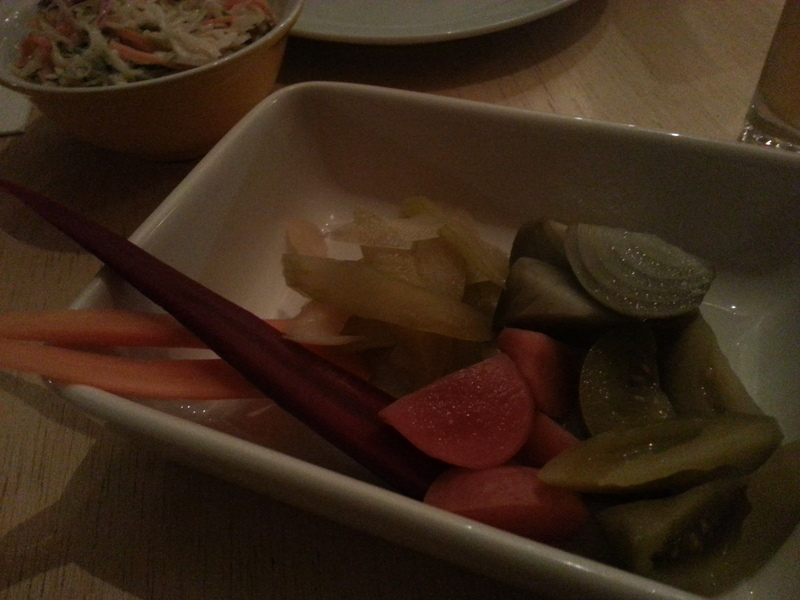 The pickled vegetables provided many different pickled tasting veggies such as tomatoes, onions, carrots and more which were both yummy and fun to taste. 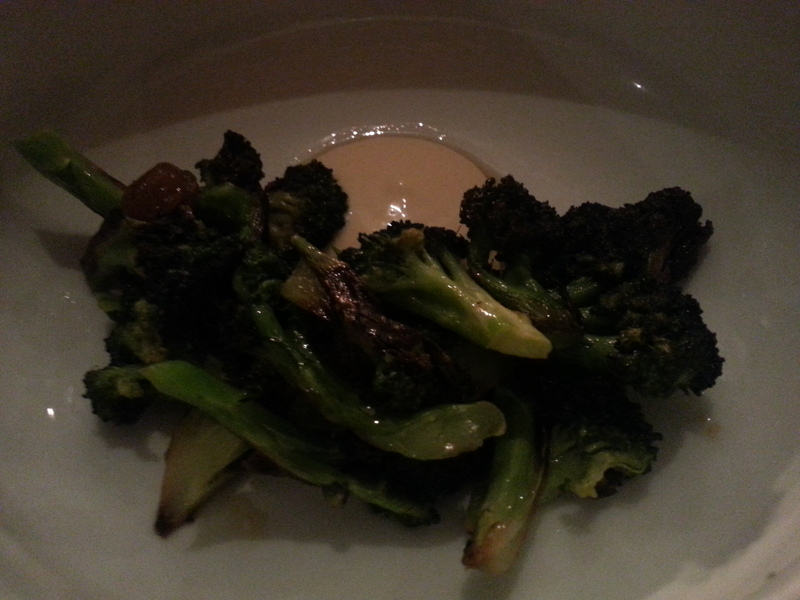 The broccoli was roasted well and blended well with the accompanied creamy sauce and the whole mixture melted in your mouth. This dish is well worth it. 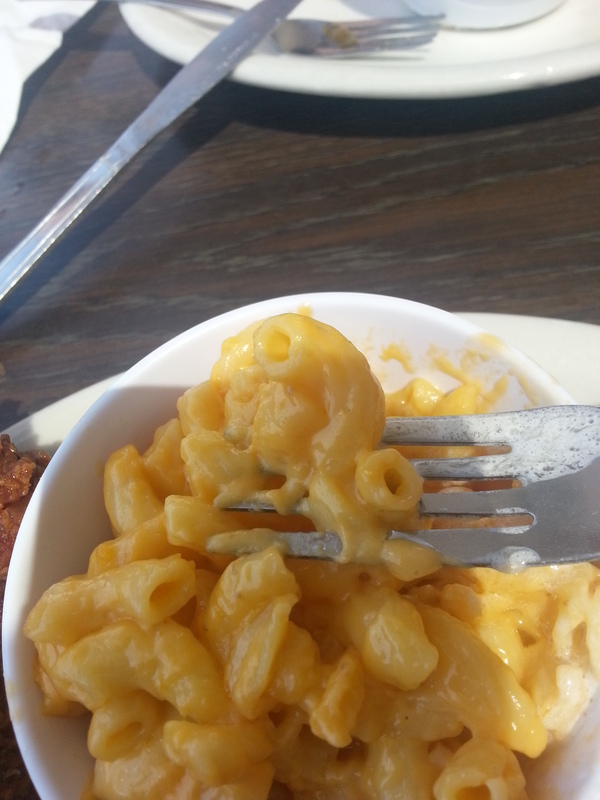 The mac n cheese was really good. 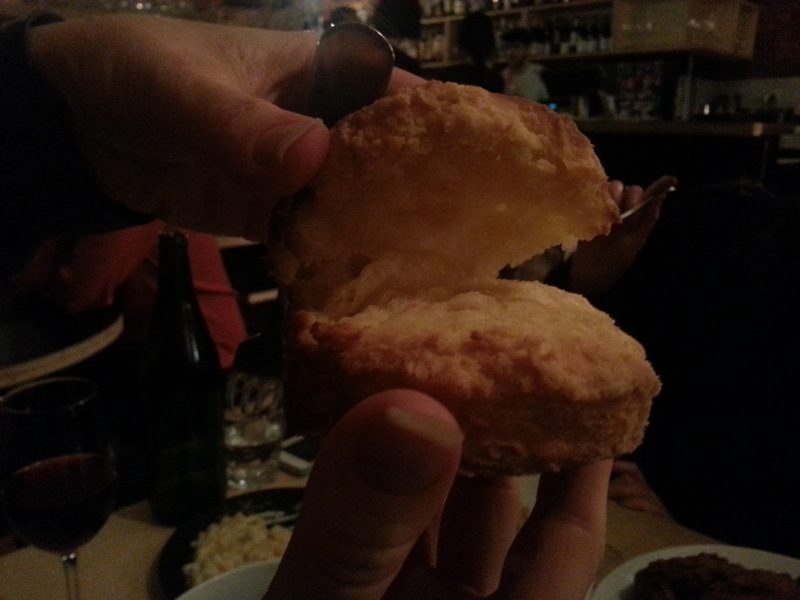 It was creamy with a strong taste of cheese. Big S couldn’t get enough of it. Finally the chicken arrived and it was a sight for sore eyes. 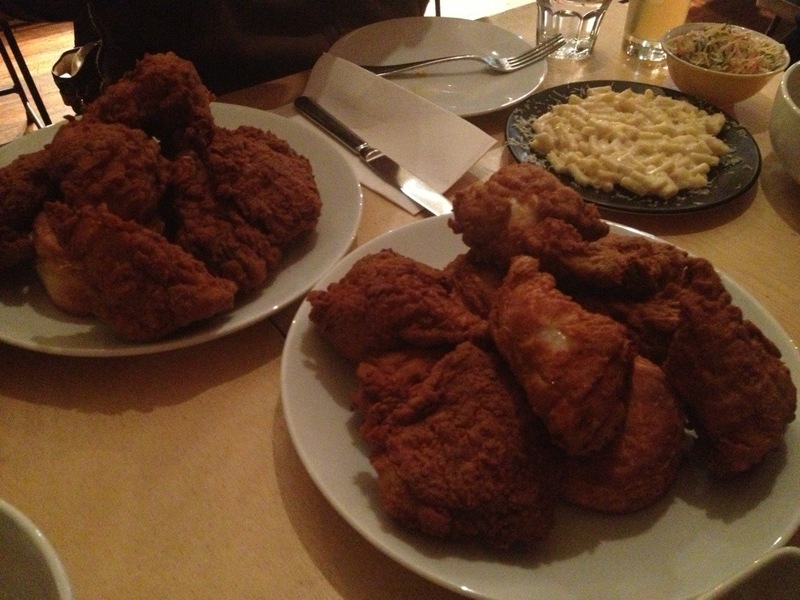 These were two big plates of southern style fried chicken stacked as mountains with biscuits buried deep down. The chicken was totally amazing and marvelous we don’t know where to start describing it, but we’ll give it a shot anyway. It was chopped up into big pieces (opposite of Korean style) and was double coated, freshly cooked, steamy, succulent, tender, juicy and had a good blend of spice to it. The size and number of pieces was 8 pieces per chicken which sat well with Hollywood and the Vietnamese T.
It was a challenge finishing it all but no pieces were left unclucked! The Chick reckons the chicken could use just a little bit more spice however we all agreed that this was definitely the best Melbourne fried chicken we have had so far and it was fabulously done and truly authentic. We shall be back! 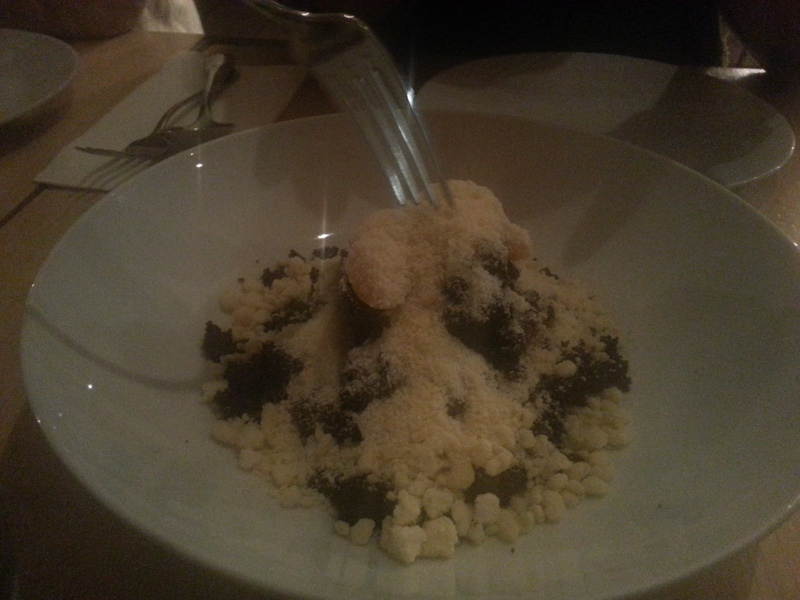 We did try out the dessert options however they weren’t impressive and just plain average. 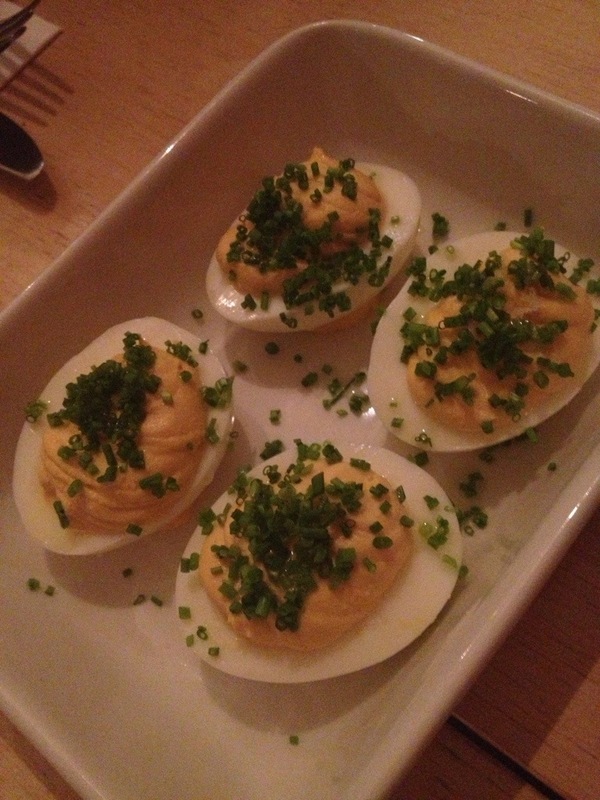 Hollywood prefers loading more on the amazing savory dishes that Rockwell and Sons have to offer.